The 2017 Senior Cup Final sees Limerick make their first appearance in the showpiece fixture since being victorious in 1994 as they take on Cork County who they defeated in that game. 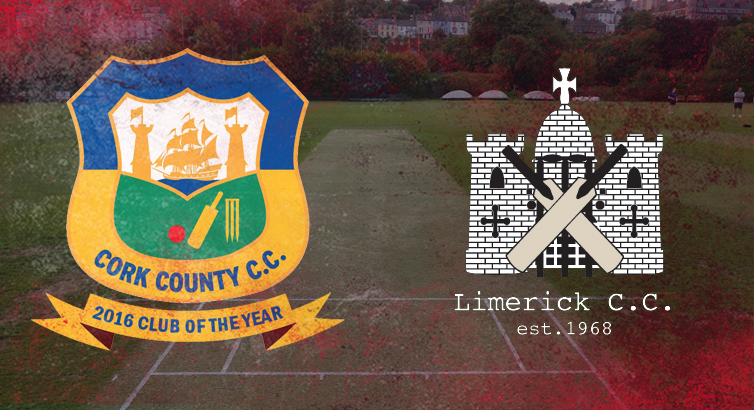 Cork County will be seeking their 12th Cup title since 2000 and hoping to add it to their Senior T20 title which they won earlier this season. Cork County come into the game following convincing wins at both Quarter and Semi-Final stages, beating County Galway and Midleton, respectively. County saw off the 2016 winners from Galway by 5 wickets and, then swept Midleton aside in emphatic fashion by 224 runs at Town Park. Limerick had received a bye into the Semi-Final stage where they met County Kerry in a nail-biting and controversial fixture which had to be replayed as a 20 over game due to abandonment of the original one. Chasing 163 to win, Limerick reached their target with just 1 wicket remaining following the award of 12 penalty points due to the slow over rate of County Kerry. The match starts at 12 noon at the Mardyke with all cricket supporters welcome to attend the showpiece fixture of the Munster club calendar.